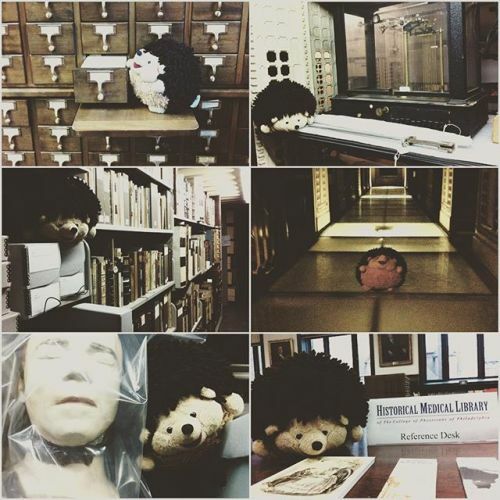 “Today is take your #squishable to work day, and one of our librarians gave Sir Rollsalot a backstage tour of our historical medical library. Lucky squishable! #squishywork15 #squishables #library #librariesofinstagram #medicalhistory #medical #bookstagram” By muttermuseum on Instagram.